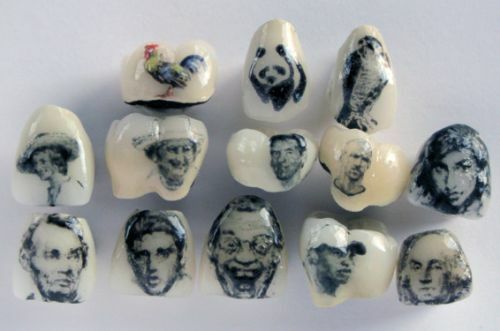 Tooth art has become increasingly popular in recent years. If you’re looking for a lab to do a customized crown you might want to check out Steven Heward’s work over at Heward Dental Lab. How cool would it be to have David Letterman smiling back at people every time you do? Better yet, if anyone wants to advertise DentalToons.com across their central incisors we’d be more than happy to send you a crisp new five dollar bill. That’s a promise! wow…I’d like to know how many bakes those took!